How do we get through when we witness tragedy? In Christchurch, we have just witnessed a senseless and horrific mass shooting. This is unheard of in our neck of the woods, and as such many people are understandably shaken by it. 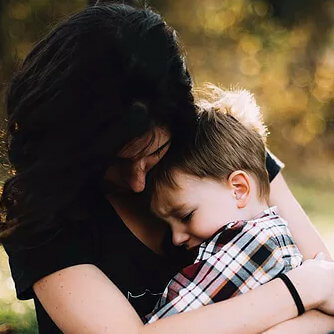 Whatever kind of tragedy or trauma we face, here are a few thoughts that may help from Richard Black, a counsellor based in Christchurch. 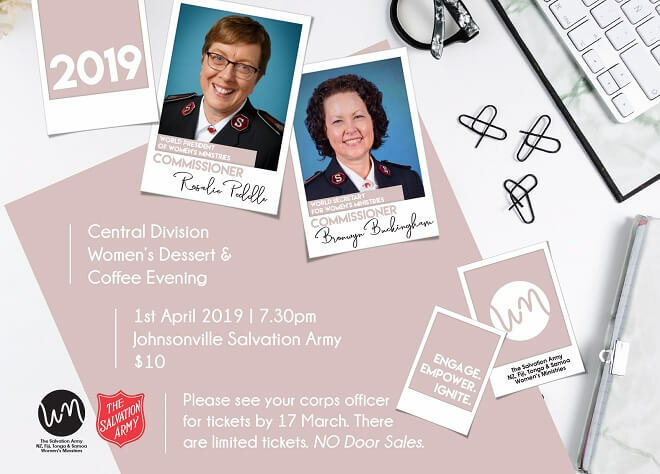 You are invited to attend the Central Division Women’s Dessert & Coffee Evening. Price: $10 – Entry is by ticket only as there will be no door sales. Please contact the main office for tickets by March 17th. What a summer we are having! Time for a Family Pool Party!!! Come along to Stokes Valley Pool (187 George Street, Stokes Valley) for a great family time with a free sausage sizzle. For more info contact Brent on 5700273. The Foodbank Project is thrilled to announce that they’re expanding again. 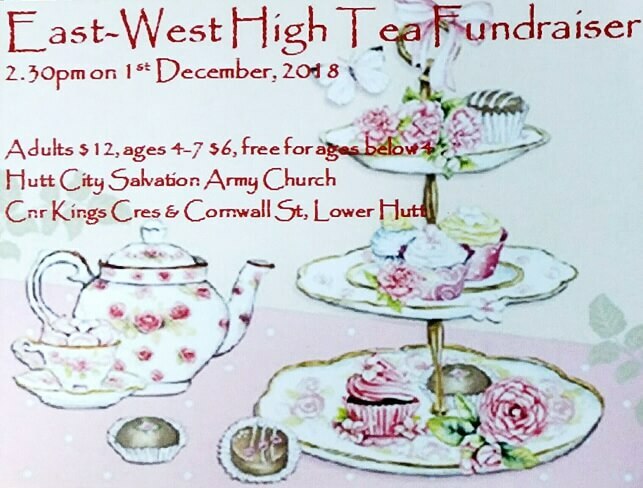 They’ve made a new hub in Lower Hutt at Hutt City Salvation Army! Liz and the team at the new Hutt City hub received their first delivery on Tuesday 9 October. They’re so excited to be part of The Foodbank Project, to receive the generous donations of the Hutt donors and to be able to help more people in the Lower Hutt community. Liz says that on average, they hand out 20-30 food parcels every week to around 90 people (both individuals and families). To read the full article and learn more Click Here. Everyone Explores…Life, Faith & Meaning. ***UPDATE*** EVEN THOUGH THE COURSE HAS JUST STARTED, YOU ARE STILL NOT TO LATE TO JOIN US. Come and join us for our next Alpha Course at Hutt City Salvation Army (Corner of Kings Crescent and Cornwall Street, Lower Hutt). It will be on Tuesday nights from 7:30-9:30pm starting on 24th July and runs for 11 weeks, plus one (optional) weekend away. Supper is included and it is completely free of charge. Food – Whether it’s a group of friends gathered around a kitchen table, or a quick catch up over coffee and cake, food has a way of bringing people together. It’s no different at Alpha. Most sessions start with food, because it’s a great way to build community and get to know each other. Discussion – Probably the most important part of any Alpha: the chance to share thoughts and ideas about the talk without being corrected or judged. There’s no obligation to say anything; it’s an opportunity to hear from others and contribute your own perspective. The Marriage Course – Is it time to invest in your relationship? The Marriage Course is a great opportunity to invest in the future of your relationship. – Understand each other’s needs. – Grow closer through resolving conflict. – Heal the ways you’ve hurt each other. – Recognise how your upbringing affects your relationship. – Improve relationships with parents and in-laws. – Develop greater sexual intimacy. – Discover each other’s love languages and much, much more! Click here to view and/or print the brochure for more information. Comments Off on The Marriage Course – Is it time to invest in your relationship?